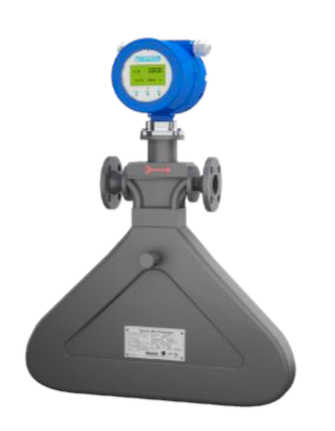 What Are Coriolis Flow Meters? in response to a flow/no-flow condition. Coriolis mass flow meters are designed to measure almost any fluid across any application. Built on the Coriolis Principle, these meters measure the mass of the fluids directly (rather than volume) and do not require temperature or pressure compensation for accuracy. The Coriolis measuring principle is based upon the physical effect a moving mass has on a body in a rotating frame of reference. This moving mass exerts an apparent force on the body, causing a deformation. This force is called the Coriolis force. It does not act directly on the body, but on the motion of the body. This principle is used in Coriolis flow meters. A Coriolis flow meter consists of two parallel tubes that are made to oscillate using a magnet. These oscillations are recorded by sensors fitted at the inlet and outlet of each tube. In a no-flow state, the oscillations are synchronized, since there is no mass exerting any force on the tubes. When fluid or gas flow exists through the tubes, Coriolis forces are generated, causing the tubes to deflect or twist in proportion to the mass flow rate of the medium. These flow meters utilize two tubes arranged in the shape of the letter ‘U’, a magnet and coil assembly, and sensors at the inlet and outlet of the tubes. Coriolis forces exerted by the flow medium are used to determine the mass flow rate and density of the medium. 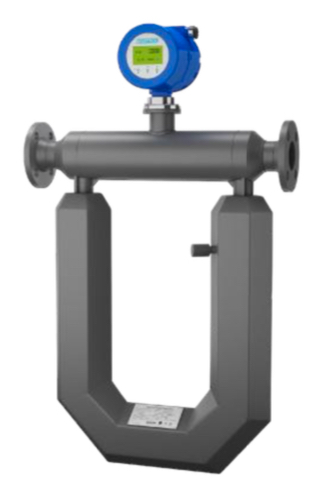 These flow meters utilize of two U-Shaped tubes in a casing with a considerably smaller radius than conventional U-Shaped Coriolis flowmeters. The smaller radius ensures a more compact instrument with significantly lower pressure differential values compared to other flow meters. 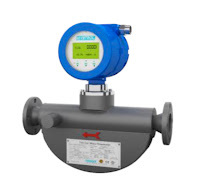 The Triangular flow meter is the most compact style of Coriolis mass flow meters, designed specifically to provide optimum performance in low-flow applications. It utilizes a single flow tube which is considerably smaller in size than the conventional U-Shaped tube. 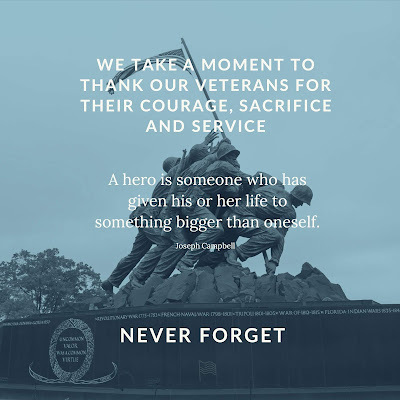 For more information about Coriolis flow meters, contact Hile Controls of Alabama by visiting their web site at https://hilealabama.com or by calling 800-536-0269.